Pinterest. It's not just for coordinating new furniture looks and picking out Super Bowl snack recipes. I use it as a teaching search engine, and I love it! When someone asks a question on a topic that's new for me in my Facebook group, Creative High School English, Pinterest is the first place I turn for a quick primer. It's so easy to search for the topics in education that I'm interested in, and I love being able to see photos that accompany the article before deciding whether to click. Want to learn more about blackout poetry? 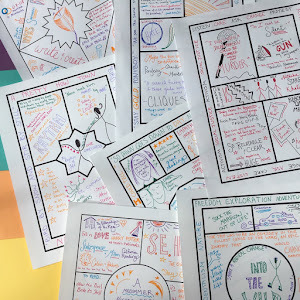 One-Pagers (have you downloaded your free templates yet, by the way?)? Socratic Seminar? Teaching 1984? Quick searches of any of these topics will yield you tons of article options on Pinterest. 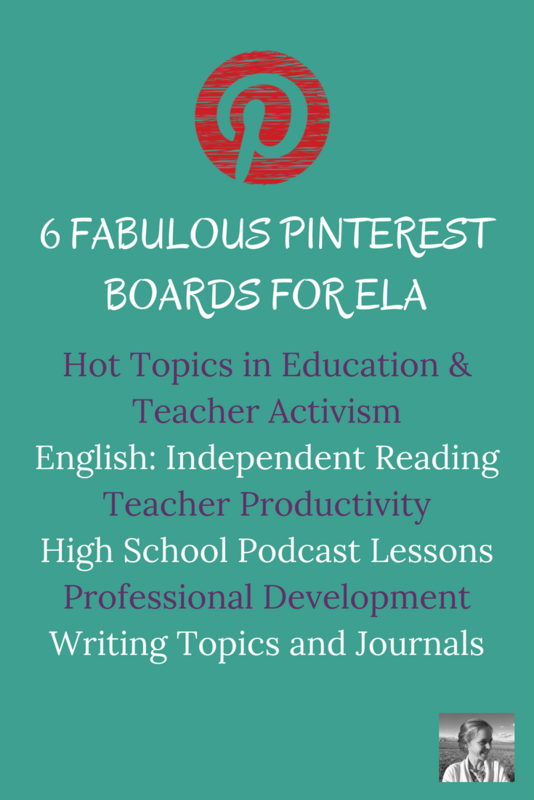 You can easily start a new board in your account and call it "My Classroom" (or "English Teacher Eye Candy" like mine) to give you decor ideas, or "My Future Reading Program," "My Project-Based Learning Idea Board," etc. One teacher in our group went on a giant pin hunt last week for fresh inspiration and came out of it energized and excited for the remaining months of the year. 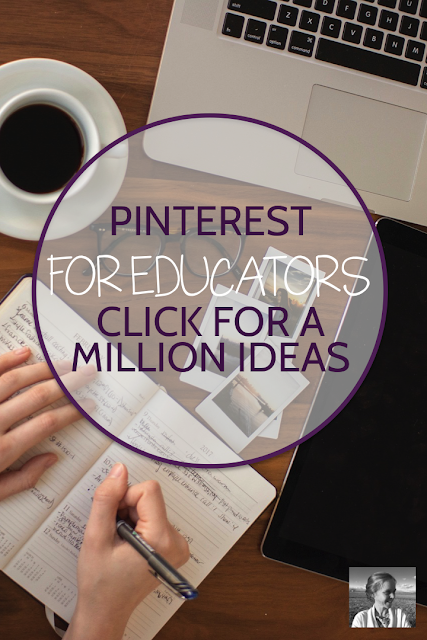 I love a good teaching book and I LOVE a good conference, but when you've just got an hour and a computer, Pinterest is an amazing place to find inspiration. If you're not really sure what you want to search for and you'd like a few fun places to start looking, I've curated some great boards below where you can poke around for ideas. This great board from Jennifer Gonzalez (The Cult of Pedagogy) is stuffed with interesting reads. On this board from Spark Creativity (that's me! ), you'll find a collection of resources and ideas from far and wide to help you promote reading with your students. This collection from Angela Watson (Truth for Teachers) is full of carefully curated ideas for saving you time and energy in your work. Get ideas for how to incorporate podcasts in your classroom with this fun board from Amanda at Engaging and Effective Teaching. This varied board from Melissa Kruse (The Reading and Writing Haven) has a wide range of great articles for improving your professional outlook. This roundup of fun writing ideas from Daniella (Nouvelle ELA) will keep your students busily writing all year long. This is just the tip of the iceberg! Just remember, you might want to set a timer once you dive into the deep waters of Pinterest. It's easy to lose two or three hours without even noticing. But boy, they are fun (and inspiring) hours. I spend a little time on Pinterest in search of creative ideas pretty much every day, so if you'd like to see what I'm pinning, you can follow along right here.